Trice Auctions is a full service auction company offering many types of service ranging from our regular consignment auction to special collectible sales to estate / real estate auctions. Have a life time of personal property to sell? Downsizing? Moving? Trice Auctions has the solution for your family we offer many solutions such as online auctions, moving your personal property to our combined estate auctions or having an onsite estate sale (auction). We handle everything from setup, marketing, inventory, selling, clean out and hauling. Trice Auctions holds a once a month consignment auction on the 2nd Sunday of every month, this is the sale were you would bring your stuff to our Auction House to sell a long with other consignors stuff, this is get for people that have a small collection that does not have enough for a special auction. Have Farm Equipment that you need to move? Trice Auctions can handle everything from 1 piece equipment to an entire farm liquidation, using our top of the line marketing and enhanced technology method we will reach the buyers looking for your equipment. We will come to your proptery location and sell the contents of an estate or the household goods without or with out the Real Estate (Proptery) or Farm Land. Do you have a large collection of certain items such as farm toys, glassware, construction equipment, pedal tractors, farm equipment or other large lots of the same style/type of item this is the services for you. We will either come to you or move your collection to our auction house. 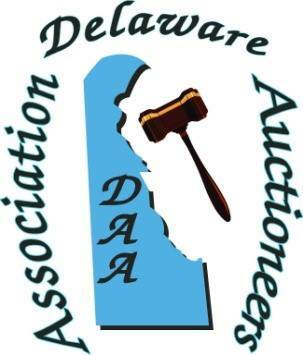 We offer all types of appraisals service ranging from 1 unique item to estates to large farm appraisals, we have a solid background in doing appraisals and do them for many law firms in Maryland and Delaware. Looking for the world to be able to bid on you items, this is the service for you, not only do we sell your items in front of our live crowd at our auction house, we sell them live online for the world to bid on at the time we are selling your item at our auction house. Have a large collection that you just want to sell without a large crowd coming to your location or don’t have the time for a auction at our auction house?? Or are you a company that has a lot of the same thing to sell and need a very large market area. Timed online auctions are for, this service is very close to eBay however we do all the marketing for you to the bidders that are truly interested in your items to get you top dollar$$$$$$. This is a new exciting style of auction that is starting to become more and more used around the US, basically we sell yourself to an online bidders, but bidders still get the rush of being in a live auction house. 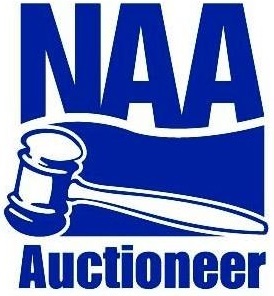 This is very similar to a timed online auction except for the fact that an auctioneer is selling your items live over the internet with a video & audio stream, so at that given moment the items is being sold anyone around the world can be sitting at your auction. This is a great way to auction of your items without the need having to do it on-site or have to rent a building to have the auction at. This is great for estate auctions or someone that has a specialized collection. We cover all of Maryland and Delaware and have resources we can refer you to in Virginia and Pennsylvania.